Two decades ago, Marc Benioff left Oracle — one of the world’s most prolific technology companies — and founded Salesforce. His thesis was pretty simple: customer relationship management (CRM) software would change business forever once it moved online. He was right. Today, cloud-based CRM software is ubiquitous — 91 percent of companies with more than 11 employees use it to track and optimize every customer interaction. This year, analysts at Gartner reported that CRM became the largest software market, with global revenues approaching $40 billion. If “software is eating the world,” as investor Marc Andreessen famously wrote, CRM brought the biggest appetite. Still, there’s a corner of the business world waiting for a seat at the table. Small businesses, especially mom-and-pop shops, can’t use traditional CRM systems. Unlike other businesses, these types of companies don’t know who their customers are and can’t easily collect customer information. Therefore, they can’t use CRM, and they miss out on tremendous benefits as a result. It’s time to change that. 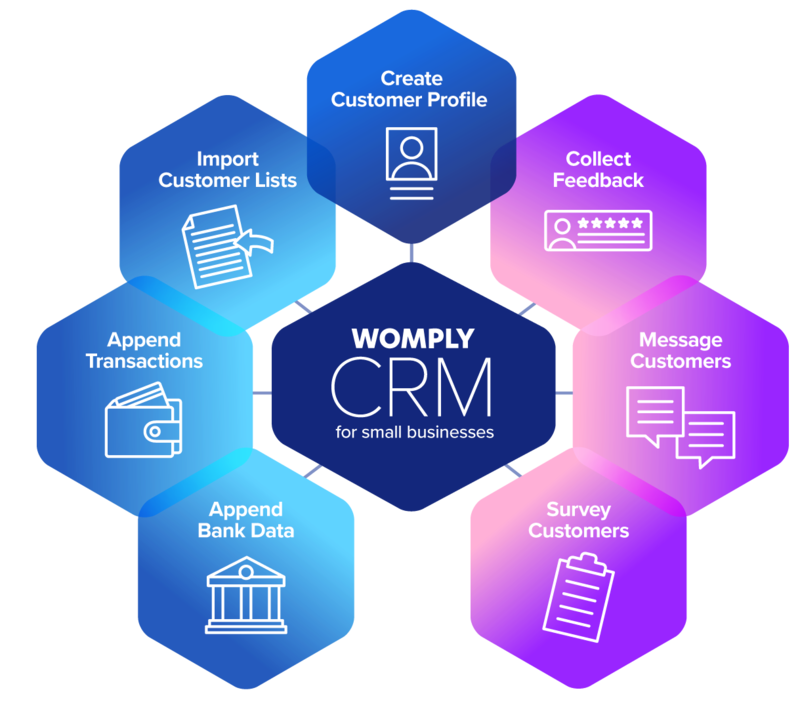 Today, we launched Womply CRM, the first effortless customer relationship management solution for busy small business owners. Womply CRM is very different from traditional CRMs like HubSpot, Salesforce, or Zoho. In building our software, we intentionally boiled CRM down to its most essential parts: automatically creating customer records, appending critical profile information, and enabling automated marketing campaigns. Anything that didn’t solve one of those problems — and couldn’t do so nearly automatically — didn’t make the cut. As I’ve written before, automation is a major consideration when building technology for small businesses, and this is certainly true for CRM. Whereas enterprise software is designed to drive usage and engagement, the most successful small business software completes tasks automatically and keeps user inputs to an absolute minimum. Software that automates work for small businesses gets traction whereas products that require ongoing time and effort from business owners simply won’t get used. When it comes to CRM, large companies and online businesses have built-in advantages. Large companies naturally obtain rich customer data during the sales cycle and in signing service contracts. Similarly, online businesses are inherently well-positioned to collect customer data through the account logins required for customer purchases. Conversely, most small businesses sell to consumers, and consumer data is really hard to collect in a physical store setting. There are very few natural collection points, and incentives for data collection tend to miss the mark. 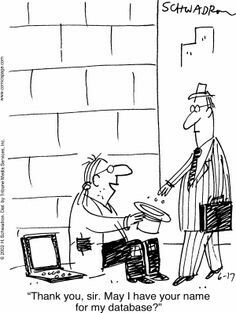 Small businesses have tried loyalty programs, newsletters, gated WiFi, electronic receipts and more, but none of these programs work well. If a small business owner can track every interaction and get in touch with customers after they leave the store, that’s the essence of CRM and a game-changer for some of the busiest entrepreneurs in the world. Extending CRM’s reach to small businesses is also a huge market opportunity. Recently, analysts at Gartner reported that CRM is not only the world’s largest software sector at nearly $40 billion in annual sales, but it’s also the fastest growing at 16 percent annually. As small businesses start adopting CRM, the market’s growth will explode. We’re excited to bring CRM to Main Street. Learn more at Womply.com/CRM. Founder of Womply, a Software-as-a-Service company serving more than 150,000 small businesses in every corner of America.